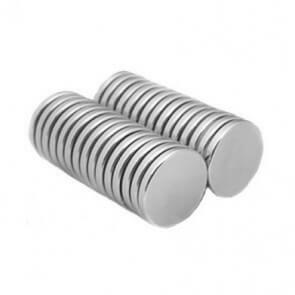 These neodymium magnets are incredibly powerful magnets with numerous application possibilities. NdFeb magnets are used within several business areas and specifically for speakers, signs, engines, sensors, filters, jewellery, lighting techniques or for decorative purposes. All Larko neodymium magnets are protected with a nickel-zinc coating or a nickel-copper coating thus making the neodymium magnets particularly durable. Larko Magnet produces raw magnets in very high quality. The neodymium rare earth material creates the strongest permanent magnets in the world, thus making them ideal for the industrial use. Our assortment consists of neodymium disc magnets, neodymium block magnets, neodymium ring magnets and neodymium sphere magnets. Generally speaking, neodymium magnets do not tolerate application in moist environments due to the risks of corrosion. Please contact our technical department if any questions regarding this matter. 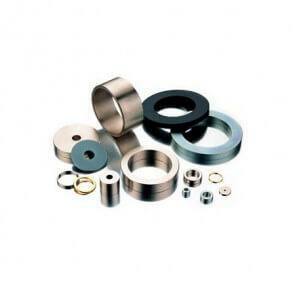 NdFeb magnets were developed in the early 80’s and have partially replaced the ceramic ferrite magnets.